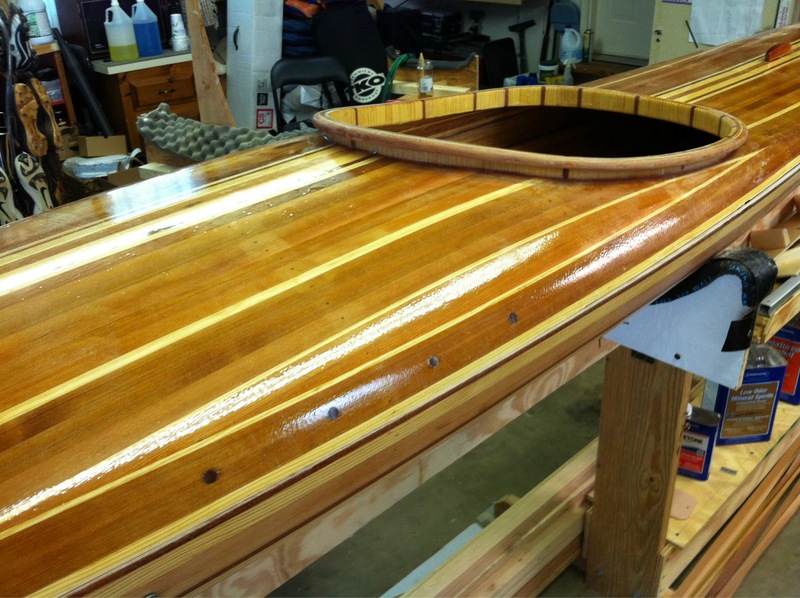 Began the joining of the hull to deck yesterday. This was after the cockpit coaming was faired, sanded and glassed (looking back on that, a laminated glass or carbon rim may have been easier and quicker). 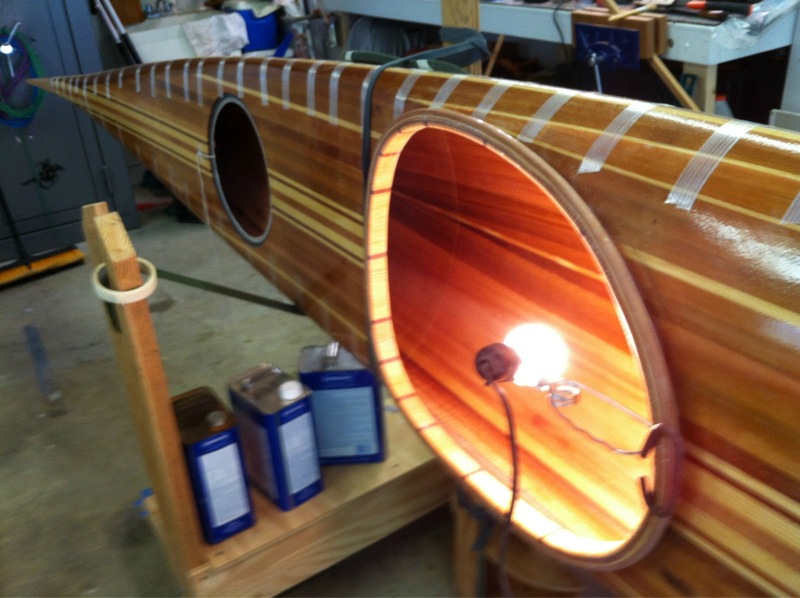 coaming and epoxied holes for deck lines. The joint was sanded to a slight bevel toward the interior for a tight joint. The fit was good and very little prodding was necessary to make the halves flush. 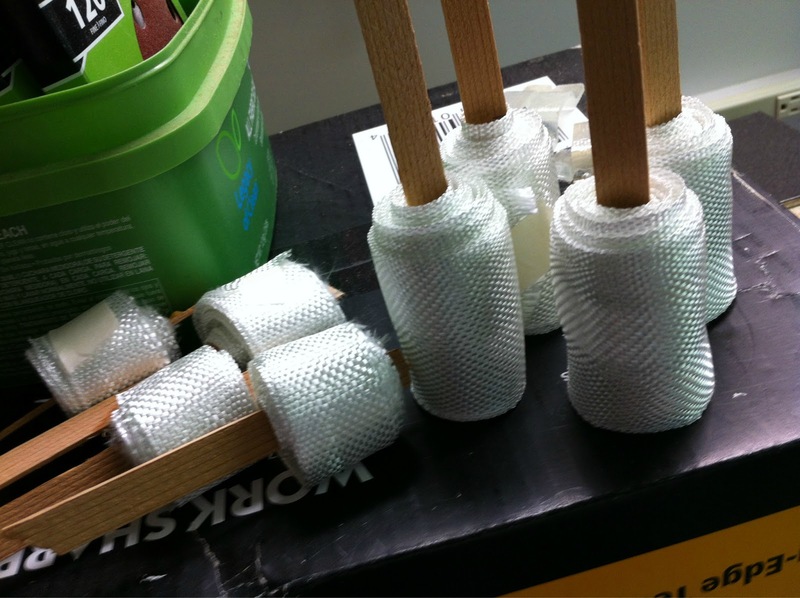 Strapping tape holds the halves in check for glassing the interior joint with 1″ glass tape and then 2″ over tape. A run of plastic tape along the seam keeps the epoxy from oozing out. I strapped the boat on edge to lay in the tape. 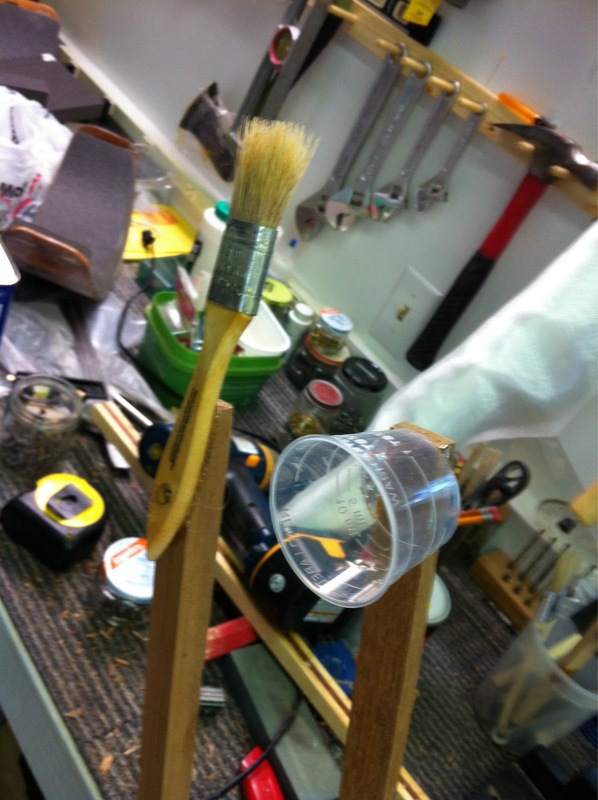 A small cup and brush glued on the ends of sticks aided in spreading and brushing the epoxy. It went well, but I may try wetting the tape prior to rolling it out on the opposite side. A pointed stick also aided in positioning the tape on the joint. Another helpful technique was to use tape only half the length of the boat which kept control of the rolls. 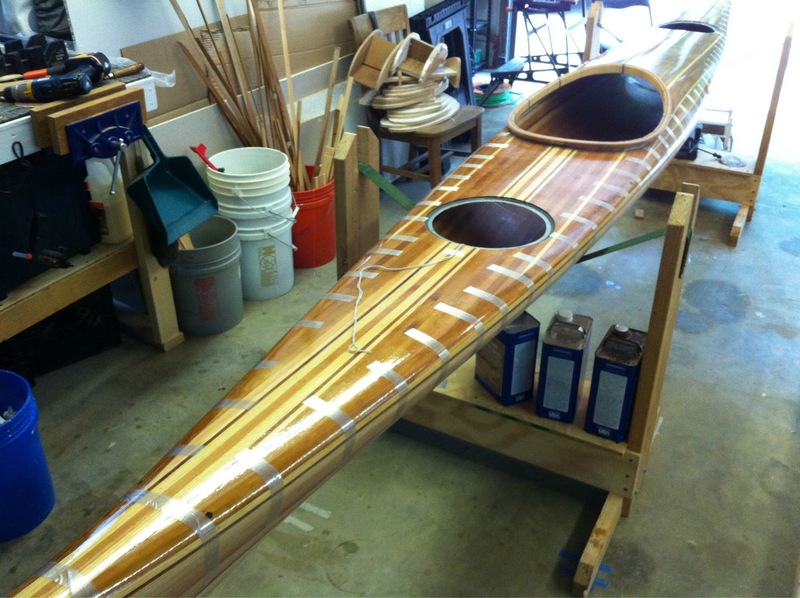 spooled tape rolls cut to 1/2 boat length. illumination needed for far dark reaches. I like boats, especially this one.